Whatever happened to the classic high street shopping experience? Would you be surprised to hear that it still exists, just not in the same capacity? Technologies, particularly SaaS eCommerce and marketing platforms, have made it easier than ever for anyone to open their own store. In fact, it’s very common for brands to exist purely online! However, there is still a certain personal touch that comes with walking into a physical store that can be hard to achieve online. Luckily, there are still ways to make your customers feel cosy when they enter your online store - like a loyalty program! When loyalty is done right, it creates a community for customers that makes them feel like part of an experience. A loyalty program gives customers exclusive rewards for engaging with your brand, which encourages them to continue interacting. 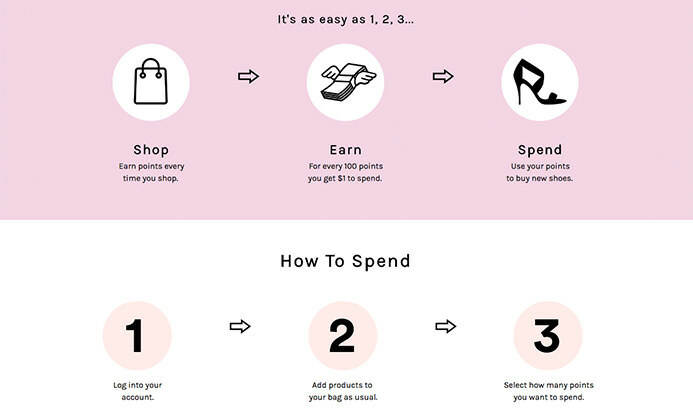 Here are 3 easy steps to make sure you launch a seamless online loyalty program. At its heart, a loyalty program is an extension of your brand. In fact, loyalty programs are most successful when built on your brand’s pre-existing community. Everything about your loyalty program should represent your brand’s values, voice and character. The key to good branding is knowing who your customers are, and what they want. Knowing what’s important to your customers is also key to a good loyalty program, because it rewards customers with what they truly want. This includes coming up with a catchy name for your program and currency. If it’s a points-based program, you need an on-brand name for your points too! 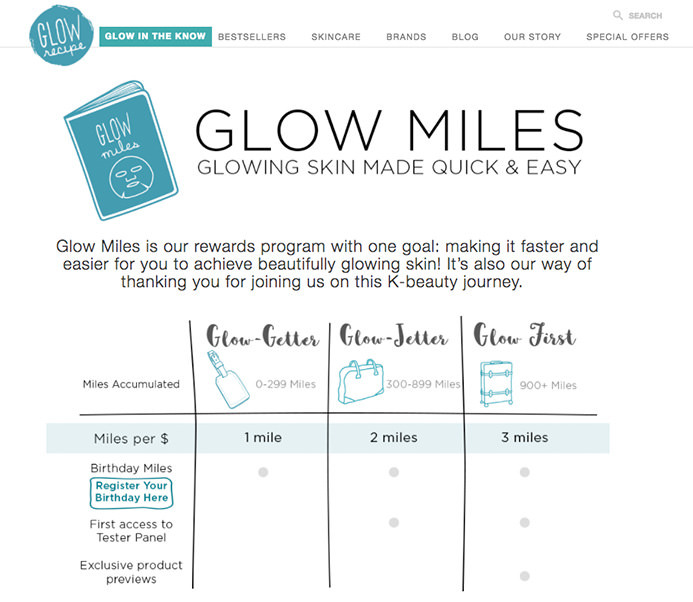 Glow Recipe is a Shopify merchant that has done this extremely well. They’ve designed a program that matches the playfulness of their brand both at a design level and a rewards level! Starting simple is always best, especially if loyalty is a new component of your brand experience. It’s much easier to introduce something new to customers if the barriers to understand it are low. The first step to getting customers to adopt something is making it easy to understand. Customers can learn one new feature at a time, making it easy to understand new benefits. It keeps things fresh and exciting to continually add a new element to your loyalty program! All of your best features at once will not only be confusing but also leaves little to look forward to! Public Desire launched their loyalty program in 2016 with great success. Starting off very simple, they’ve introduced a very easy to understand program. They’re explainer page is straightforward, colourful and on-brand. 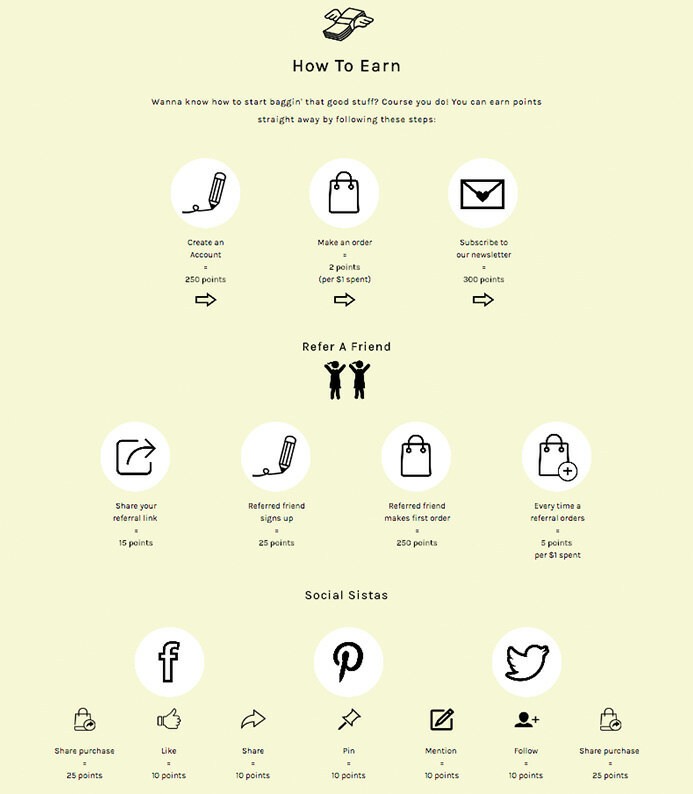 It’s laid out in segments to carefully lead the customer from basic rewards, like spending, to more complicated rewards, like social sharing. They’ve done a great job of leaving room for more rewards that they can continue to add in the future, as their program grows. Customer motivations shape purchasing decisions and help determine which brands customers shop with. Use email marketing campaigns to communicate sales, premiere new products, and keep in touch to eliminate the possibility of customers switching to a competitor. 55% of people join a loyalty program to receive some sort of discount, so be sure to continue creating that motivation even after they join. e.l.f. 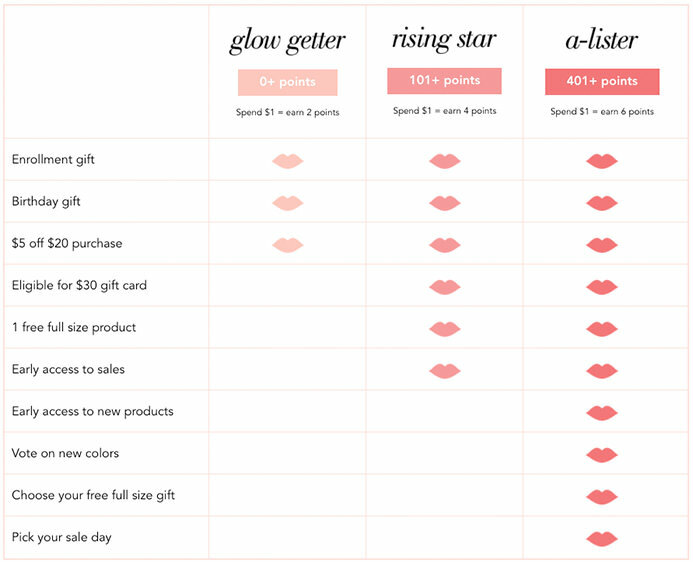 Cosmetics launched their loyalty program in 2016 as well (big year for loyalty!) with a very motivational tiered system. 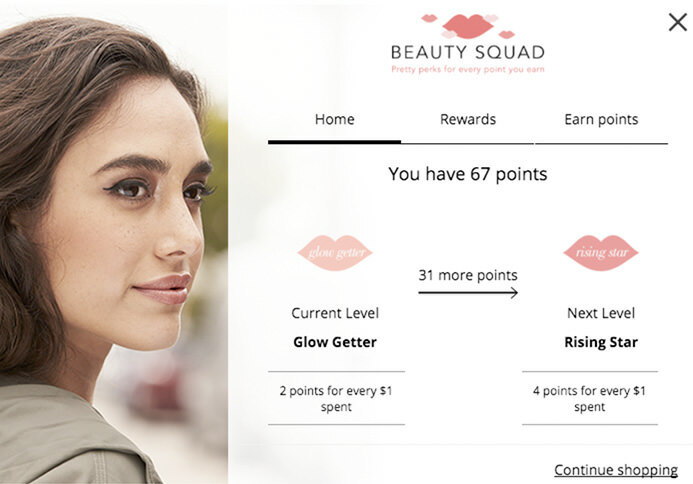 Not only do they give customers to change to unlock new benefits the more they spend, but they also give customers experiential rewards like the ability to vote on a new lipstick colour. These rewards go beyond just a transaction, and allow customers to really participate in shaping their own experience. This type of customer experience will motivate them to come back and continue spending in the future. When it comes to loyalty programs, a common question that arises is always make or buy? One of biggest pros for opting to buy a loyalty solution is the implementation time - you’re looking at anywhere from 1 day to 5 weeks. This is due to the level of expertise and experience someone who’s launched thousands of programs can give. They know exactly where to start and what to aim for. They also know what results you should be looking for and how to properly measure those results. Merchants working with agencies and technology partners simultaneously will have the most integrated and savvy solutions. Allowing different facets of your business to be handled by the experts in that area will allow you to focus on what you know best - how to run your business! Author: Elaine Sloboda manages agency partnerships at Sweet Tooth - the most used platform to build stunning online loyalty programs.